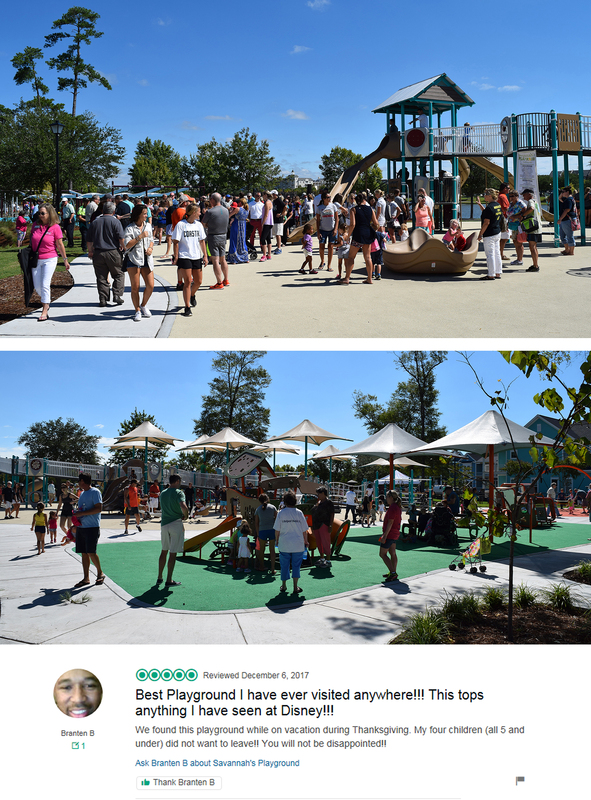 Savannah’s Playground at Grand Park in The Market Common has won another statewide award. This time, the South Carolina Municipal Association honored the playground with the Achievement Award for Public Service. The official presentation of the competitive award will occur in July during the MASC’s annual meeting in Hilton Head. The enabling playground was the brainchild of former Myrtle Beach Mayor John Rhodes. The $1.5 million project includes play structures and equipment that are ADA compliant. Funding was received from a variety of sources, including $350,000 from the City of Myrtle Beach, $300,000 from the State of South Carolina, $300,000 from the Myrtle Beach Air Force Base Redevelopment Authority and $100,000 from Horry County.